If someone told you – The 70s are back , or asked you if you remember the Iconic Perfumes of the 70s? What is the first thing that springs to mind? Is it bell-bottoms which were a staple., or words like ‘Groovy and Flower Power’. How about T.V. programs such as Starsky and Hutch, The Dukes of Hazzard and Charlie’s Angels. Maybe it is the Music, or World events that were happening at the time. What ever it is that springs to mind, the 1970’s had some iconic styles, great music, wonderful Perfumes and no shortage of political scandal. So like it or not everywhere you look, style trends from the ’70s are back or making a comeback. Recently style from the 1970’s has begun to resurface, open a magazine or fashion blog post, and you spot the odd fringe, frayed denim and where would we be without flares. Do you ever wonder why certain trends come around again when they do? Is it fashion houses simply regurgitating styles in a cyclical order? Or! has it to do with ‘Zeitgeist’ – the defining spirit or mood, of what people feel and what is happening in the world. The good thing is that when you look back at what defines a decade, most people remember the Fashion, Perfume, Food and Music that shaped it. If The 70s are back – then we here at PAIRFUM London want to look back at the wonderful Perfumes of the time. It is hard to think of Fashion in the 70s without ‘Saint Laurent’ springing to mind, as Yves Saint Laurent was himself synonymous in revolutionising the landscape of 1970’s fashion. So as an homage to this colourful, ‘Funky’ period in history, we have picked out! Charlie the legendary perfume by Revlon presented in 1973, ad campaigns for the scent featured a number of models including Naomi Sims, making Sims the first African American woman in history to be featured in a cosmetic company’s advertising. Chanel No. 19 perfume was first marketed in 1971. 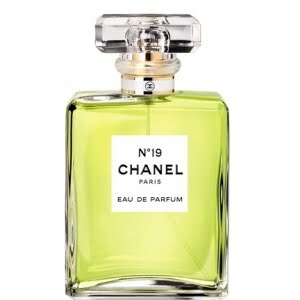 The number 19 was chosen to commemorate Coco Chanel’s birthday, the 19th of August. The perfume was launched just a year before she died, and the scent was created by Henri Robert. Diorella a fragrance by Christian Dior, for women brought to the market in 1972. Created to symbolises the spirit of freedom of the 1970s. Rive Gauche a women’s perfume launched by Yves Saint Laurent in 1971, remembered by many for it’s all-aluminium silver and cobalt blue striped bottle. 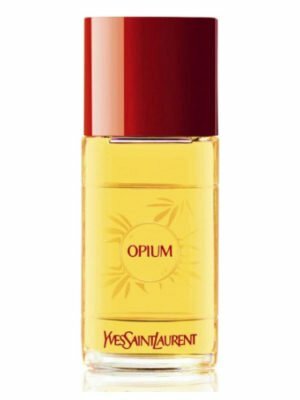 Opium another of the iconic perfumes created for Yves Saint Laurent in 1977, it caused quite a stir at the time with its controversial name and ad campaigns. White Linen was created for Estee lauder by Sophia Grojsman in 1978, and was a modern classic. Anais Anais by Cacharel a fragrance created for women 1978, this was the first perfume created by them. Cristalle Perfume by Chanel – a fragrance for women released in 1974, remembered by many for it’s Green Notes. 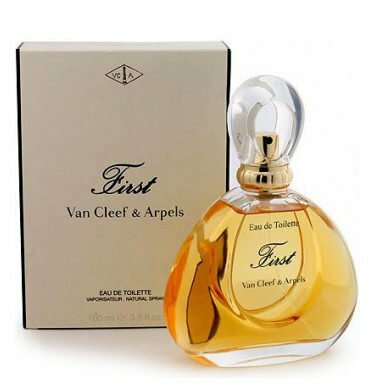 Estée Lauder launched Cinnabar in in 1978, in answer to Yves Saint Laurent Opium..
First by perfumer Jean-Claude Ellena for Van Cleef & Arpels, when Ellena was commissioned to create ‘First’ back in 1976 – it was literally the first ‘jewellery fragrance’ in the world. Now when looking back over our selection of some of the classic Perfumes of the 70s, we may be accused of being a bit top-heavy with the Female fragrances of the time. Why have we not included any Male fragrances? Well, you must also remember that in the 70’s Men wore ‘Aftershave’, and these great Fragrances that came to epitomise this era are so iconic, that we have decided that they deserve a separate article all to themselves.